Micro-incisional cataract surgery generally takes less than 10 minutes if performed by a qualified and experienced eye specialist and cataract surgeon. At MCES, we have cataract surgeons who are trained to deliver quality results and a pleasant and relaxing experience for the patients. We will not only take care of your cataract but will also take a holistic approach to the health of your eye and any ongoing care that is required. Following the surgery, most people have little to no pain and experience good vision almost immediately. To ensure that your eye recovers properly following the surgery, there are a few things to consider. Here are our top five tips to minimise cataract surgery recovery time. Avoid rubbing the eye, touching the eye or aggravating the eye. Following the surgery, you might feel grittiness in the eye or even a feeling like there is a grain of sand in the eye. This can result from the very small incisions that have been made. Avoid touching the eye because that sensation will eventually stop and do not use soap near or in the eye. It is advisable to wear sunglasses and a hat to protect the eye from the sun and any foreign substances entering the eye. The eye needs to rest and not be under pressure. This involves not swimming for two weeks, not engaging in any heavy lifting for two weeks and not undertaking any strenuous exercise for 1 month. Also, limit the number of times you bend over to minimise any strain on the eye. If possible, avoid sneezing or vomiting right after cataract surgery. Your surgeon understands eyes best and will have understood your circumstances well throughout the surgery process. It is recommended that you follow your surgeon’s instructions with regard to any post-surgery eye care, medication, eye drops, use of the shield and any other important factors. If you are unsure about what to do, feel free to contact the clinic to speak to the surgeon about any of your concerns. Usually, you do not need to attend the clinic the day after your cataract surgery. However, if we feel that you need to attend a post-operative review, for various reasons, we will ensure that we see you a day or two after your surgery to ensure that the recovery of your eye is not delayed. We will generally check on your eye at the clinic about 1 week after your surgery. Cataract surgery can be daunting and stressful. Following the surgery, you should not feel significant pain. However, your vision might be blurred temporarily, and things might feel a little different. It is essential during this time that you try to relax so that your eye recovers safely. If you have any concerns, please contact our friendly surgeons and staff. 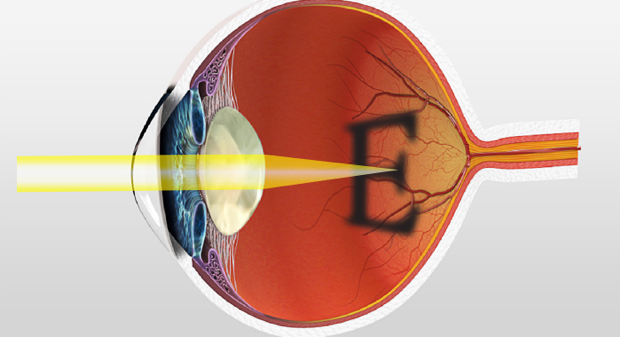 Following cataract surgery, most people experience little or no pain. Their vision is restored almost immediately. If there is a degree of discomfort or even mild pain, this is normal and the sensation is often relieved with paracetamol and the eye drops that have been supplied by the pharmacist. Vision may be blurry for the first few days if the cornea swells. This normally clears quickly within a few days to a week. If blurred vision persists beyond a week, please contact us or see your optometrist for a check. To help you recover on your first day after cataract surgery, here are some quick tips. Remove the pad and shield. Gently clean the eye if there is any blood or discharge. Apply 1 drop from each bottle that has been supplied by the pharmacist. Leave 5 minutes between each drop. Then, close your eye for two minutes after putting in the drop. Await your phone call from us. If necessary, attend a post-operation review. Replace the shield and wear at night only for 1 week. The recovery time after cataract operation will vary depending on the individual’s circumstances. Do not be alarmed if your recovery time differs to a family member or friend’s recovery time. Most patients will experience black spots. These were present prior to surgery but are now more visible due to the greater amount of light entering the eye. You will get used to them and will learn to ignore them. If they do bother you, please discuss with your surgeon as in some instances they can be removed with laser treatment. There will be halos around lights for the first week or two as the cornea recovers from surgery. If a block was used, you may notice double vision or drooping of the eyelid in the first 48 hours. Grittiness in the eye or even a feeling like there is a grain of sand in the eye can result from the very small incisions that have been made. This may take 3 or even 6 months to resolve but can be relieved with regular use of lubricants. How Long After Cataract Surgery Can I Bend Over? Try not to be bend over for at least 2 weeks following cataract surgery. Whilst there are some tasks that require bending, such as putting on shoes or pants, try to avoid bending your back. In addition, try not to sneeze or vomit following cataract surgery, and avoid excessive coughing. Following your first day after cataract surgery, remember the following. Take your eye drops as advised. Call us if you need any clarification. Avoid touching, pushing or rubbing the eye. Avoid facial makeup, especially around the eye. Avoid being in windy conditions where debris might enter the eye. No swimming for 2 weeks, no heavy lifting for 2 weeks and no strenuous exercise for 1 month. Wear sunglasses and a wide-brimmed hat to protect the eye from the sun. While we place a lens in your eye that is calculated to give you good distance vision without glasses, a slight variation may mean you need new glasses to achieve the sharpest possible distance vision. Delay sourcing new glasses for up to 6 weeks after surgery. In relation to driving, this depends on the condition of the other eye. The best advice about driving is that you can drive when you feel able to drive in a safe and responsible manner. This may take 1-4 weeks. There is no correct time to have surgery. For most, this is a personal decision that considers the speed of vision loss, the impact on lifestyle, and an assessment of the small risk involved with surgery. Generally, cataract surgery is considered when you are not able to do the things you want to do because your vision has reduced due to a cataract. Some patients who have strong glasses and have cataract in one eye will need to have cataract surgery on the fellow eye, even if no cataract is present, to balance the eyes. Many patients with glaucoma, particularly the angle closure form, have early cataract surgery, often with a stent inserted, to help control their glaucoma and reduce the need for drops or more invasive cataract surgery. For some patients who need very strong glasses, refractive lens exchange is a good option to decrease their need for glasses, particularly if they cannot tolerate contact lenses. This type of cataract surgery is entirely self-funded with no access to Medicare or private health fund rebates. What Happens if You Bend Over After Cataract Surgery? You should not bend over after cataract surgery for at least 2 weeks. Bending over will place pressure on the eye and this may cause unnecessary complications to your eye. The main complication will be a delay in the healing process. Avoid bending over by following these rules. Try not to bump into things. Stay seated whilst putting on shoes, socks, pants and underpants. Between sitting and standing, take your time. To achieve the best cataract surgery recovery, ensure you follow the instructions from your operating eye surgeon and read and understand the other sections in this blog. In addition, it is best to stay calm and remain relaxed. For many, it might feel slightly different following the surgery, and this is to be expected. It is important to take time off work and avoid doing tasks that can be delegated to someone else. Your eyes are critical to your health and it is best your recovery progresses well without interruptions or impediments. We pride ourselves on quality cataract surgery that achieves the best possible outcome for the patient. At MCES, we use proven methods, together with cutting edge equipment to provide a seamless operation. If you wish to have cataract surgery, please contact our team on 03 9455 1714. Have you recently had cataract surgery? What steps did you take to minimise the recovery time? Back How Much Does Cataract Surgery Cost in Australia?